As time passed, engineers became increasingly ambitious with building projects. Larger projects proved difficult. Tremendous pressure was placed on materials that were unable to bear significant weight. Consequently, engineers developed the truss. Trusses are web-shaped structures used to bear tremendous weight. Used in buildings and bridges of all sizes, trusses allow builders to extend the dimensions of structures and create interesting shapes. 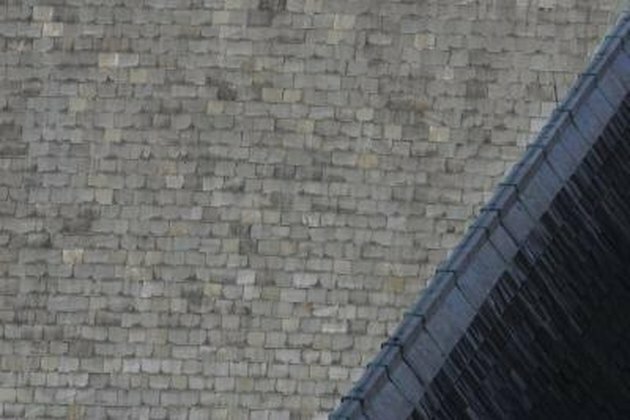 Asymmetric roofs are typically built by using the dual-slope truss. Before the widespread use of iron in the Industrial Revolution, bridge building had not changed significantly since 100 BC. When iron, a much cheaper alternative to traditional bridge material, such as stone, was adopted for bridge building, new engineering techniques were needed to support the massive weight from bridges. Unfortunately, many iron designs failed. Engineers then decided to use wood, which proved to be successful. After proving they were useful for bridges, trusses were adopted in other areas of construction, especially in construction of homes and businesses. Most trusses today use lumber as their primary material. Lumber for trusses must be high-quality and able to tolerate high amounts of stress. Most wood is stress-rated by machines, which grade its quality. Certain governments, such as Canada, have grade requirements for wood. Plates are a secondary material in trusses. They are sturdy pieces of metal, typically galvanized steel, that are used to hold wood together at joints. Plates transfer stress from the wooden beams of the tress to the joint. This allows the truss to tolerate more weight. In buildings, trusses allow engineers to create large open spaces with fewer materials. Using fewer materials also allows contractors to build cheaply. Spaces in trusses allow pipes and wires to easily pass through the ceiling. Despite being specific in design, there are many different types of trusses that engineers can use. This allows them to still be creative and to include structures such as vaulted ceilings. In both buildings and bridges, trusses are popular because they are incredibly strong. In fact, wood trusses are often used with concrete, a material considered much stronger than lumber. Many different styles of trusses exist today. The most common trusses are the Howe, Fink and triangular trusses. They are relatively simple and generally do not extend beyond 10 feet. A more complex truss is the inverted truss. It is shaped like an obtuse triangle and is primarily used for segmented, vaulted ceilings and vaulted ceilings that curve. Many homes utilize the attic truss for their attics. Its design allows space in the center of the truss. One of the more complex truss designs is the half scissor truss. This design, unlike the inverse truss, creates the appearance of a true, flat vaulted ceiling.